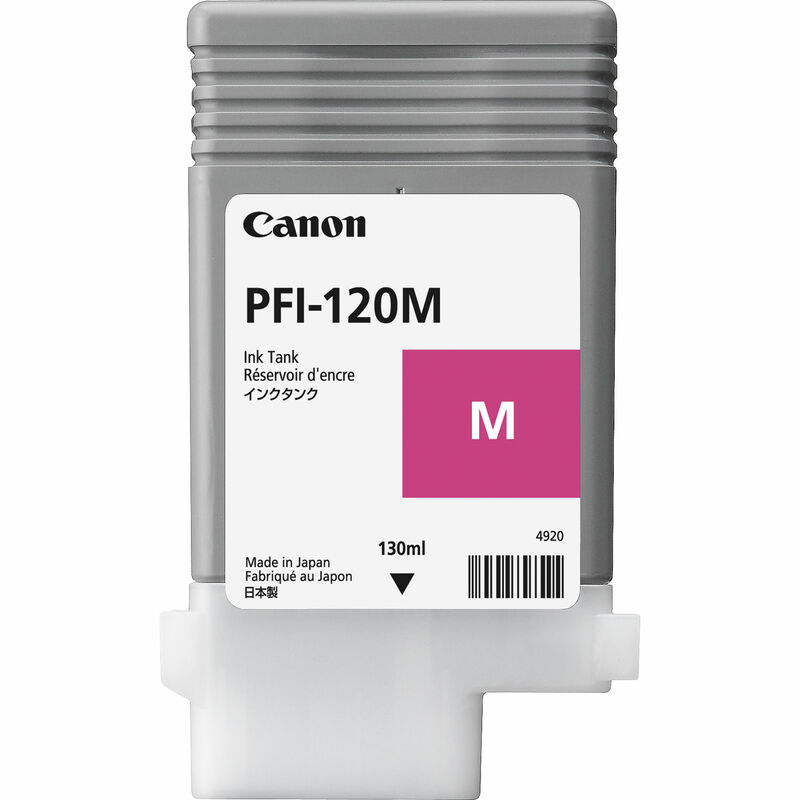 This 130mL PFI-120 Magenta Ink Cartridge from Canon is designed for the imagePROGRAF TM-200, TM-300, and TM-305 printers. It is a pigment-based, LUCIA TD ink formulated to produce fine lines and sharp text on both inkjet and non-inkjet paper, and when used with water-resistant media the ink can withstand many outdoor conditions and construction sites. Box Dimensions (LxWxH) 4.7 x 3.0 x 1.1"